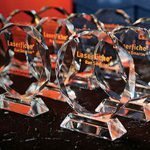 Laserfiche—a leading global provider of enterprise content management (ECM) software—announced today that CRN®, a brand of The Channel Company, has named Hedy Belttary, Senior Vice President of Sales; Taylor Grosso, Director of Channel Sales; and Esther Chow, Director of Sales Operations and Customer Success, to its prestigious list of 2019 Channel Chiefs. The top IT channel leaders included on this list continually strive to drive growth and revenue in their organization through their channel partners. 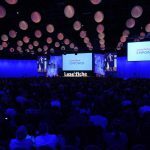 For over two decades, Belttary has played a pivotal role in the establishment and growth of the Laserfiche Solution Provider Program. 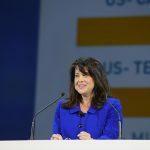 Under her leadership, Grosso and Chow have driven strategic initiatives to enhance educational resources for Laserfiche’s solution providers, as well as increase their profits and opportunities. Together, the three channel leaders have worked to create and implement a sales model that focuses on partner training and growth. Channel Chief honorees are selected by CRN’s editorial staff as a result of their professional achievements, standing in the industry, dedication to the channel partner community, and strategies for driving future growth and innovation.